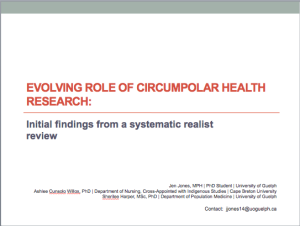 Presented at the International Circumpolar Congress on Health the initial findings of a systematic realist literature review. 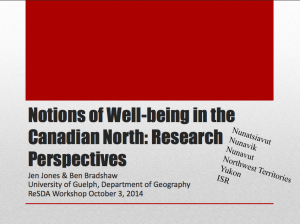 The review aims to to uncover if and how health research conducted in Alaska and Northern Canada is serving the needs and priorities of Indigenous communities. Ashlee Cunsolo Willox, Sherilee Harper and I received some thoughtful comments. 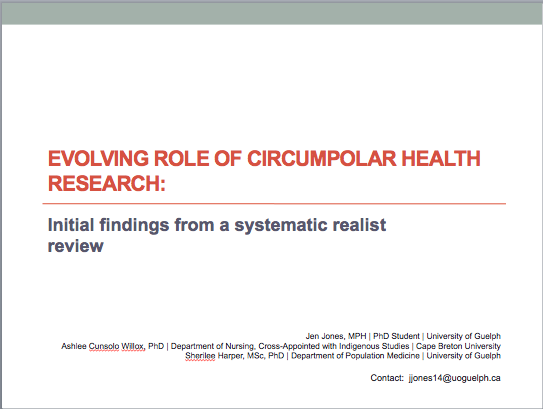 To see our presentation click on the title slide.